Organizations are not monolithic entities. Many businesses are extending their reach across the country and even expanding to a more global audience. With resources devoted to so many different places, it can be difficult to keep everyone updated and ensure that people can work together effectively. Mobile devices and cloud-based applications have helped to mitigate the distance between workers, and Office 365 is a critical tool for enabling remote operations. As Forrester noted in a report, mobile access to SharePoint and Office Professional Plus through Office 365 provides a better understanding of inventory levels in real time. Managers can keep up-to-date information flowing across the supply chain and into distribution, resulting in improved delivery time and lower inventory costs. Other segments of the manufacturing team can use Skype and Yammer for improved communication, bolstering employee and customer satisfaction. 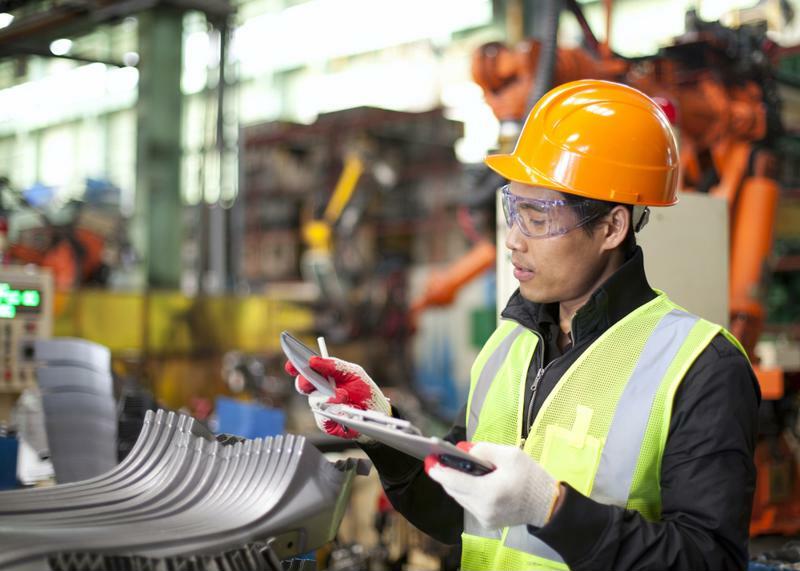 Office 365 enables better communication for manufacturers. As manufacturers grow, their infrastructure can become more complex and unwieldy. Supporting all of these tools is costly and causes issues with navigation and data integration. Rather than using a bunch of disparate tools, manufacturers can take advantage of Office 365's suite of interoperable features. Jabil CIO Gary Cantrell noted that choosing Office 365 was a way to simplify and consolidate the IT environment with a fully integrated productivity platform. This ensures that workers have a user interface that inherently advocates collaboration and ensures that there are no compatibility issues when sharing important information and files. "Migrating processes to Office 365 empowers manufacturers to keep up with complex business environments." In today's fast-paced world, it's becoming more difficult for businesses to keep up and leverage technology in a beneficial way. In one Office 365 case study, Fortescue Metals Group had a server environment that wasn't keeping pace with the company's accelerated growth, resulting in downtime, slow onboarding and additional costs. By moving to Office 365, the organization's IT services were more reliable, secure and agile. Office 365 modules allow manufacturers to connect to plants in real time to avoid production issues, foster innovation, and improve service. Migrating processes to Office 365 inherently improves agility and empowers manufacturers to keep up with complex business environments. The cloud has changed what organizations and workers expect. Office 365 is a critical cloud-based suite that can directly benefit the manufacturing industry, as well as many other verticals. Using Office 365s modules, businesses can improve their agility, consolidate their IT environment and bolster communication. To find out more about what Office 365 can do for your business team up with a certified partner like ISG Technology. Educational institutions are responsible for teaching future generations how to operate in the real world, particularly as employers increasingly look for tech-savvy staff members. Microsoft Office remains the most widely-used productivity suite within education and business environments. Students are taught how to put together a PowerPoint presentation, record and analyze data trends within Excel and complete written assignments through Word. Microsoft is aiming to modernize teaching and prepare students for the next steps by empowering them with effective technology like Office 365. The biggest benefit of Office 365 in education is the fact that it can be used outside of the school. According to Microsoft numbers, over 110 million students and teachers leverage Office 365 at school and at home. The software ensures that everyone can create, collaborate and communicate effectively. If a student stays home sick, he or she can still finish assignments, catch up on the lecture and contribute to the class. This type of accessibility keeps everyone together so that lessons can proceed without anyone feeling left out. Office 365's remote capabilities also give students a taste of the potential for mobile, remote and work from home opportunities given by employers. Pupils learn how to be productive on devices even at home and manage their time wisely. Office 365 enables students to use resources from anywhere. Interacting with Office 365 and its various modules is critical to developing students into capable members of society. 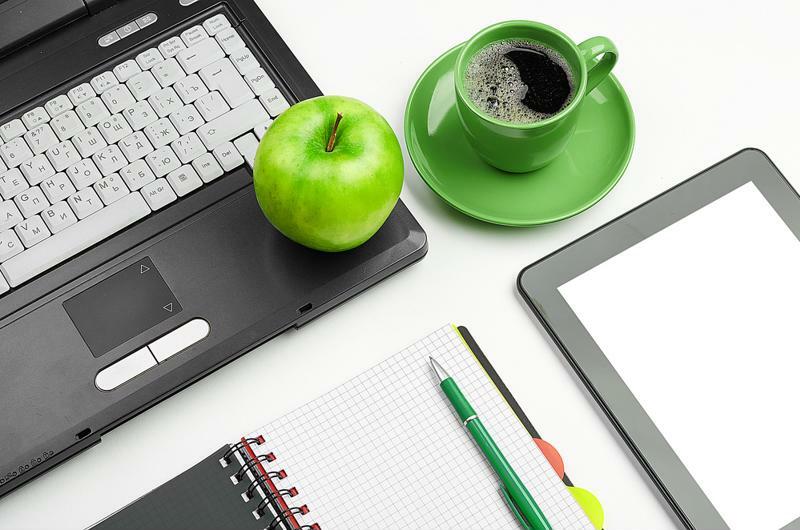 Office staples like Word, PowerPoint and Excel are minimum requirements for a variety of jobs. Understanding the ins and outs of these programs will help students perform more effectively in the real world, according to Ed Tech Magazine. Students might even learn how to use Exchange Online, SharePoint Online and Lync Online, serving as major building blocks for future skills. More employers are looking for candidates to understand how to store and share documents, use conferencing tools and leverage email effectively. With Office 365, modules can be added over time to teach students as they progress through their school journey. "Schools can scale their features according to future demand and change their modules." The cloud is a powerful asset for businesses and schools alike. Office 365 for Education offers more sophisticated and engaging features than a traditional suite, all through a cloud platform. Schools can scale their features according to future demand and change their modules at any time to reflect world demands. This ensures that students get immediate support as technology changes, supplying them with the most relevant skills. In addition to adjustable modules, educational institutions can take advantage of the integrated, holistic experience of Office 365 that power better learning outcomes. Educators must strive to keep up with the times and ensure that their students will become productive members of society. Much of this entails teaching pupils how to use technology effectively to collaborate, communicate and complete tasks. ISG Technology has the expertise to configure and manage your Office 365 setup to enable future generations. For more information on what Office 365 can offer the education space, contact ISG Technology today. Microsoft products are an established go-to for business tools, with Office, Excel and PowerPoint being the most-used programs for a variety of work tasks. When it comes time to upgrade, however, what option should you choose? You can go with the traditional Office 2016 product or get the programs as part of an Office 365 subscription. Let's take a look at what makes Office 365 different and the advantages it can bring. Office 2016 comes with the traditional package of programs. Once you buy it, you own it until you want to buy a new version. Office 365 turns this model on its head by offering the usual software tools alongside a variety of other applications, How-To Geek stated. The subscription model is particularly beneficial for those that want to always use the most updated tools, while paying only for what you use. Businesses could install Office 365 on up to five computers, while Office 2016 requires a license for every machine. Microsoft is adjusting Office 365 to be a better deal for company users and transition out of one-time-purchase versions. With the variety of available apps and cost savings, Office 365 is proving to be the more flexible option. Office 365 comes with a variety of applications for business users. With traditional Microsoft Office products, employees could only access them from a desktop or laptop. However, workers are no longer chained to their desks and are seeking more mobile and remote work opportunities. Office 365 provides web-enabled access to critical business resources including email, calendar and documents from almost any device, technology consultant Michael Moran wrote in a LinkedIn post. With Office 365, workers are free to work where and when they choose. They're better able to respond to important requests and be productive outside of the office. The comprehensive mobile capabilities afforded by Office 365 will have a direct impact on efficiency. 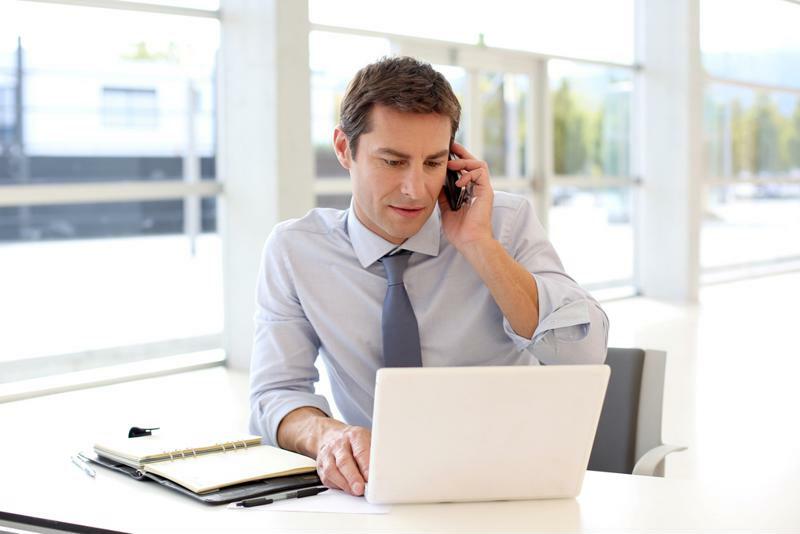 Colleagues can send instant messages and participate in online meetings, ensuring that projects are completed on time. Mobile capabilities can also significantly aid in bolstering the customer experience by ensuring that employees have the tools on hand to collaborate, communicate and deliver results within one portal. "Using professional services like Office 365 tells potential customers that you're serious about business," Moran wrote. "With these state-of-the-art but easy-to-use collaboration, mail, and messaging services, you can set yourself apart from organizations that use free or ad-supported services." "Built-in security capabilities regularly scan messages for malicious software and spam." When looking at online tools, leaders might jump to concerns over safety and security of their most valuable assets. However, with Office 365, you can use the same systems used by Microsoft to protect your network, documents and email. Built-in security capabilities regularly scan messages for malicious software and spam. Users are immediately notified of any unusual activity, enabling them to respond quickly even if they don't have advanced IT knowledge. This could make a big difference in preventing breaches and warning users of similar attack methods. Because there's control over data in the cloud with Office 365, that also opens up the opportunity to use this platform as a means of disaster recovery. If the office is inaccessible or data is compromised, Office 365 ensures that resources are still available and can be restored. As threats become more prevalent, having these capabilities will give teams piece of mind that their information is safe. Office 365 is certainly different from the products that most organizations associated with MIcrosoft. The benefits of security, features and mobility are too great to ignore, enabling the solution to become a standard for other productivity tools to follow in the future. For more information on why Office 365 is different and how to leverage it yourself, contact ISG today. The rate of innovation involved with modern technology is increasing with every year. Companies are working hard to constantly give new features to their clients, a sentiment that is especially true of Microsoft’s Office 365. This cloud-based productivity platform has exploded on the enterprise IT scene and is completely changing how and where employees complete tasks. Despite having been on the market for nearly five years now, those who haven’t had the chance to work with Office 365 yet still don’t know much about it. In fact, there is a portion of this population that have formulated myths based on unfounded rumors and hearsay. We wholeheartedly believe that Office 365 is an incredibly beneficial tool, and we would hate to see a company miss out on it due to unsubstantiated claims. Therefore, we’ve put together a list of myths about Office 365 that just aren’t true, and what the reality behind the situation actually is. 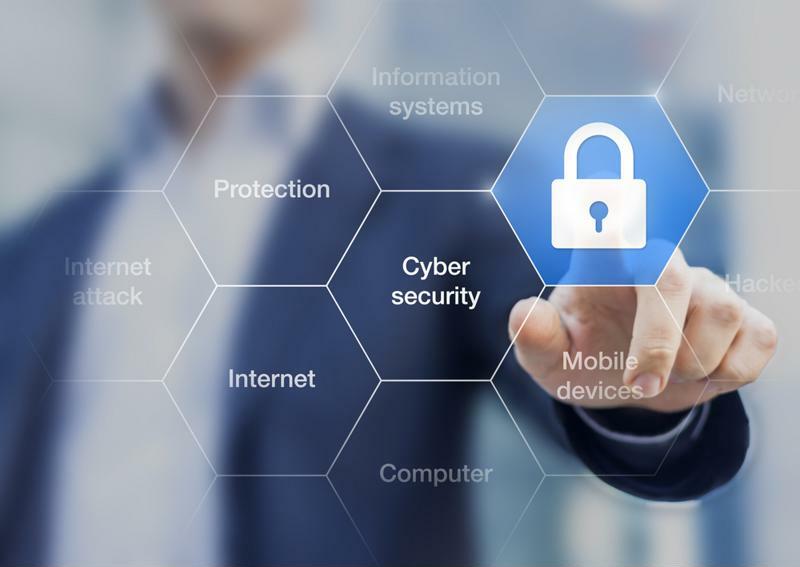 No matter which sector your company works in, one of your most important areas of concern has to be cybersecurity. This is because a data breach could seriously affect how clients view your organization. A study from Centrify found that two-thirds of consumers living in the U.S. will stop their business relationship with an institution following a major hacking event. Clearly, staying on top of your firm’s security is of the utmost importance. This is especially true when you’re talking about a platform like Office 365. This service handles so many pieces of important information that it makes sense for people to be worried about it’s ability to mitigate the risks of a cyberattack. However, the idea that Office 365 is inherently less secure than other options is completely false. Office 365 is incredibly secure. Identity security: Ensuring that only the right employees have access to secure data is paramount. Therefore, Office 365 relies upon multi-factor authentication, which means you have to utilize multiple security credentials in order to log onto an account. This puts another obstacle between your company’s data and the hackers. Data and app encryption: Encryption is by far the most important tool in the fight against cybercriminals. Office 365 utilizes this technology when information is moving between systems and when it’s stored on a particular device. Responding to issues: Microsoft stated that Office follows the response tactics of the National Institute of Standards and Technology. This includes having a dedicated security team, detecting and analyzing threats, containing incidents and spearheading an investigation after everything’s said and done. Clearly, there are too many security features baked in to Office 365 for it to be considered a vulnerable platform. Working with this tool means that your data has an added level of security that will help lower the chances of a data breach. One of the major selling points of Office 365 is that it clears up a lot of technical issues that other platforms present to company IT teams. While it is obviously a clear advantage, some workers see this as a threat to their current position. They see all the work that they put toward just keeping their current system running, and they think if they don’t have to do this maintenance then they’ll be out of a job. While this comes from a very real place of self worth, this is once again a very false myth. Although Office 365 will streamline certain processes and eliminate the need to constantly put out fires, it won’t completely take away the need for a robust IT department. As a matter of fact, the truth is quite the opposite. Office 365 gives you the opportunity to explore internal goals like never before. Due to the fact that you won’t have to waste time simply fixing what should already work, you can move on to opportunities to expand your current IT infrastructure. A deployment of this platform isn’t the death of the IT team; it gives your department new life. This is less of a specific Office 365 myth and more of a misconception for most newer technologies. Companies very often get comfortable with their current solution, and they start to imagine that making the move to another platform would just be more trouble than it’s worth. Of course, the multitude of benefits provided by Office 365 show that this just isn’t the case. Sticking with an older solution that doesn’t work properly just because you’re used to it doesn’t make any sense, and it could end up costing your company big in terms of productivity and effectiveness in dealing with client needs. However, making the transition can lead to certain obstacles. But don’t worry, ISG Technology is here to help. Our staff members have quite a lot of experience dealing with moves to Office 365, and we can help make sure yours goes as smoothly as possible. Microsoft has constantly been at the front of enterprise IT innovation, and for good reason. The company has a large suite of services that can help companies achieve their full efficiency potential, with perhaps the most important of these being Office 365. The Office collection of productivity tools has been a mainstay in the business world for decades, and the latest iteration is no different. That said, certain industries like health care are hesitant to make a move on newer technologies. Medical facilities often have a very specific way of doing things, and changing up the regular routine can seem to be extremely disruptive. However, this couldn’t be further from the truth. Office 365 has a host of benefits for those working within this sector that simply cannot be ignored. Of course, when it comes to health care IT, the most important factor to consider is security. Medical records carry a host of personally identifiable information, and if that data is compromised, it could lead to stolen identities or worse. In fact, this is such a huge issue that the federal government passed the Health Insurance Portability and Accountability Act. HIPAA is regulatory legislation that governs how medical facilities can handle patient information. It’s basically designed to harshly penalize any actions that could lead to a breach. What’s more, a violation doesn’t have to be malicious or negligent. HIPAA Journal reported that a hospital can violate a rule completely by accident and still be liable for payments of up to $50,000 per incident. With so much on the line, it’s no wonder that so many health care administrators are hesitant to change their current IT routine. What’s more, this fear of change has even generated the rumor that Office 365 cannot meet the security needs of a modern medical organization. Of course, this simply isn’t true. Office 365 actually has more stringent standards than many other tools on the market, and we firmly stand behind the statement that you couldn’t build a more secure environment. Hospitals looking to improve security measures can seriously benefit from an Office 365 deployment. Outside of security, many medical facilities also have to deal with the constraint of tight budgets for the IT department. Running something like a hospital is incredibly expensive. Between the salaries for highly-trained professionals and the ever-increasing reliance on costly equipment, health care institutions just don’t have a lot of wiggle room when it comes to the technology solutions they use. This is yet another area where Office 365 can help out. This suite of tools doesn’t require any pricey upfront costs, instead relying on a reasonable monthly fee. This allows organizations to make the switch to Office 365 without having to allocate a huge amount of money toward the venture right from the start. 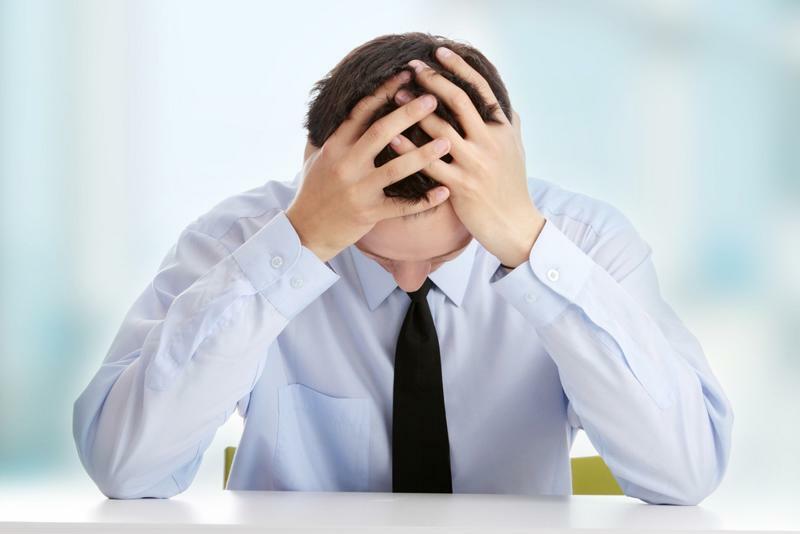 Another problem most health care organizations have to deal with is an overworked staff. Just about every department in a hospital is overrun with important tasks, but IT is very often one of the most strained departments in any medical facility. In fact, the 2014 HIMSS Workforce Survey found that 84 percent of these institutions had hired an IT worker in the past year, showing that there is an almost constant demand for experienced technology professionals. IT workers are very often overworked. Clearly, hospital IT departments have a very full schedule, and performing general maintenance on productivity tools is just another fire to put out. This is where working with an outside partner to develop an Office 365 solution comes into play. ISG Technology professionals can manage these issues for your organization, freeing up employees to work on internal projects. However, it’s important to note here that such a deployment isn’t a threat to anybody’s job. ISG Technology doesn’t want to downsize your IT department, we want to help it crawl out from under the mountain of maintenance problems they have to deal with. Our IT experts are trained to make your life easier, so contact us today and find out what an Office 365 solution from ISG Technology can do for your business.